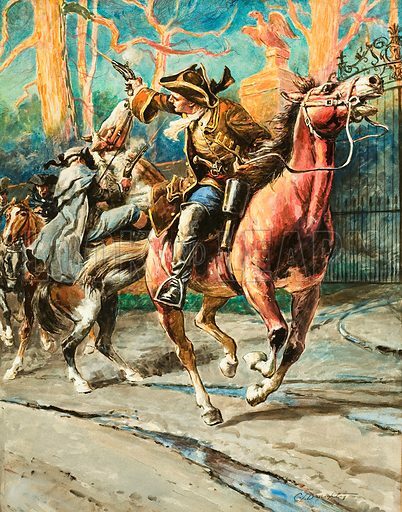 Stand and Deliver: The Vanishing Highwayman. After each of his hold-ups William Page seemed able to spirit himself away - until the next of his daring escapades. His run of success was halted in an attempted robbery on the Great North Road. Original artwork from Look and Learn no. 928 (3 November 1979).